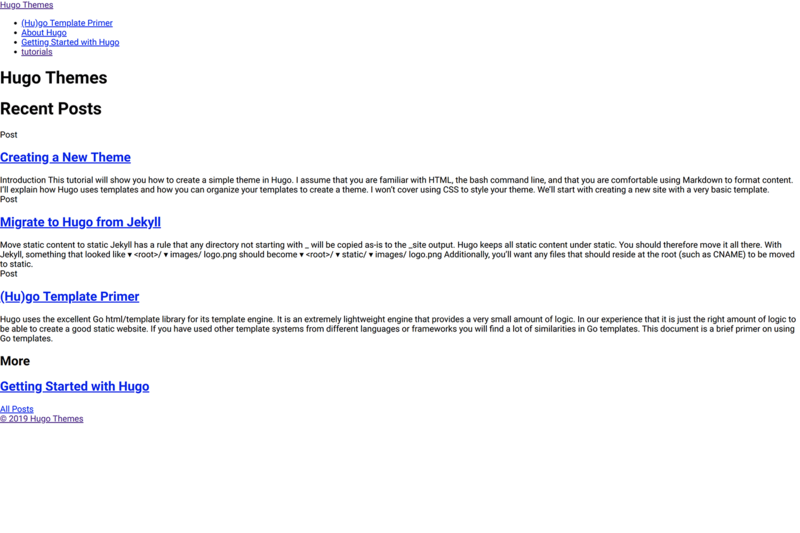 I’m in the process of converting my WordPress site into a static site compiled from markdown files using the Hugo static site generator. For this task, I created a blank Hugo starter theme that uses Webpack and optional webpack-plugin-serve for UI development build live reload. You will need Git and NodeJS with NPM installed. For example, if your Hugo website is in the www folder. Reload the webpage with cache disabled to see the any UI build changes. An easy way to do this is with browser dev tools open and it’s cache disabled setting active. Install the webpack-plugin-serve module using npm. When you’re ready to build without using the Webpack development server, perform the standard production build.